So, what’s in our Garden? | Bloom. So, what’s in our Garden? Strawberries– Adam’s favorite. They probably won’t be that great until next year as they are a spring plant. However, the deer beg to differ. 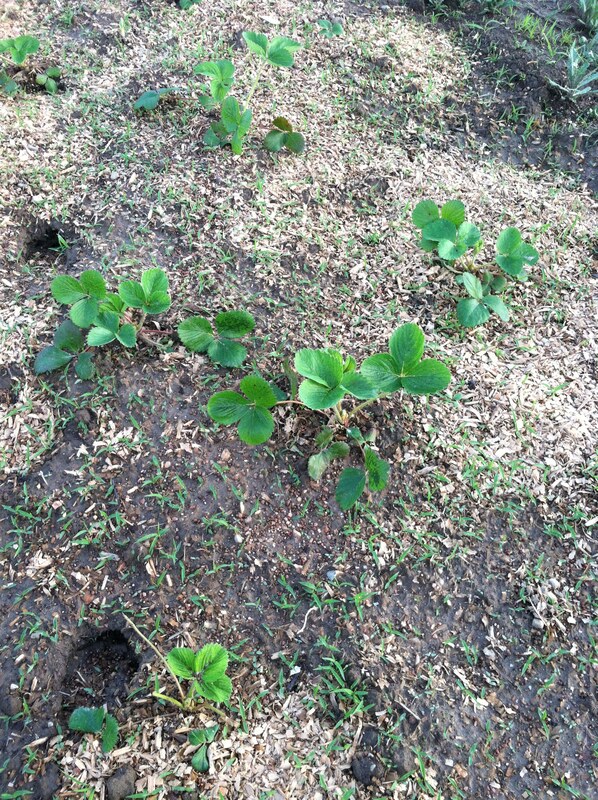 They seem to like the big strawberry leaves coming out of the ground. We are lucky there have not been more casualties with the other plants around the strawberry bed thanks to their hoofs and appetites. And, the deer are very lucky that it is not deer season, or else they would be seeing more casualties on their end thanks to my shot gun bearing, camouflage wearing husband. Please note the deer tracks. Spinach– We could eat spinach every night. 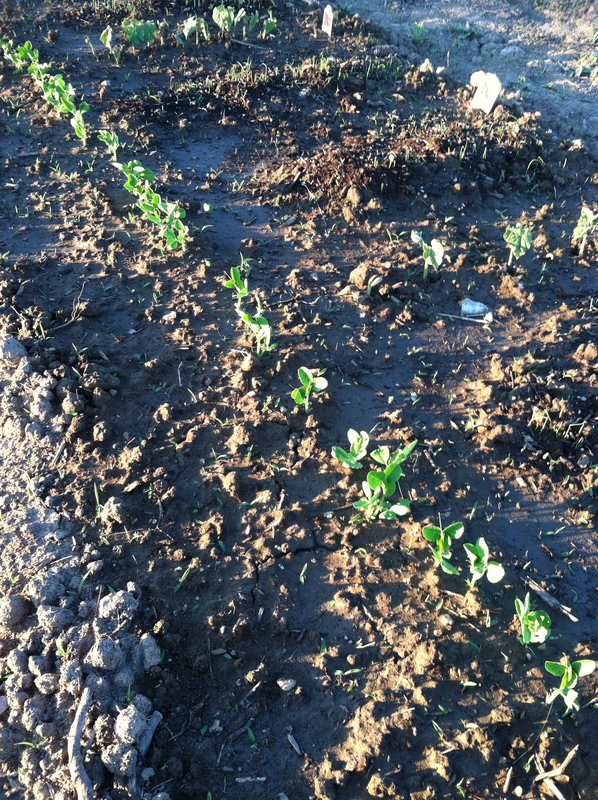 We were able to transplant eight spinach plants that we started from seeds. We bought eight more from the store that had been started and transplanted them into the ground. 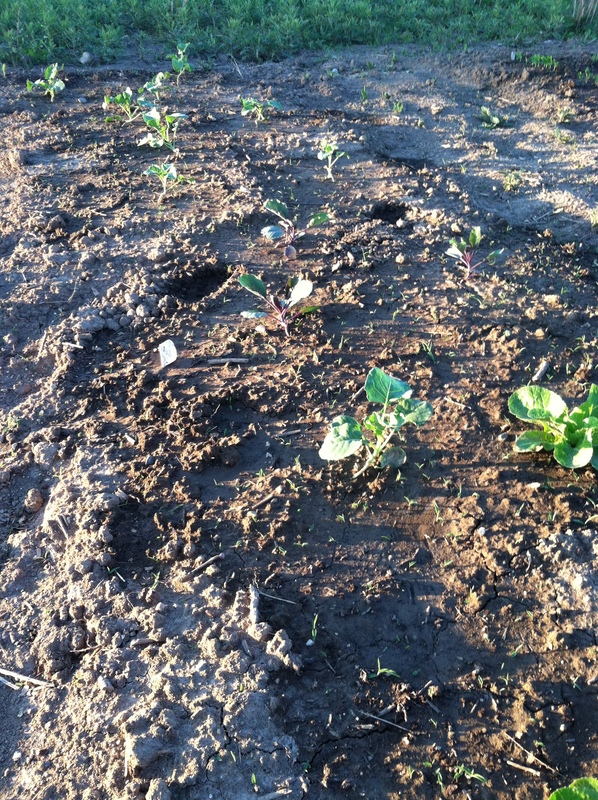 Cabbage and red cabbage– These plants are doing so well. 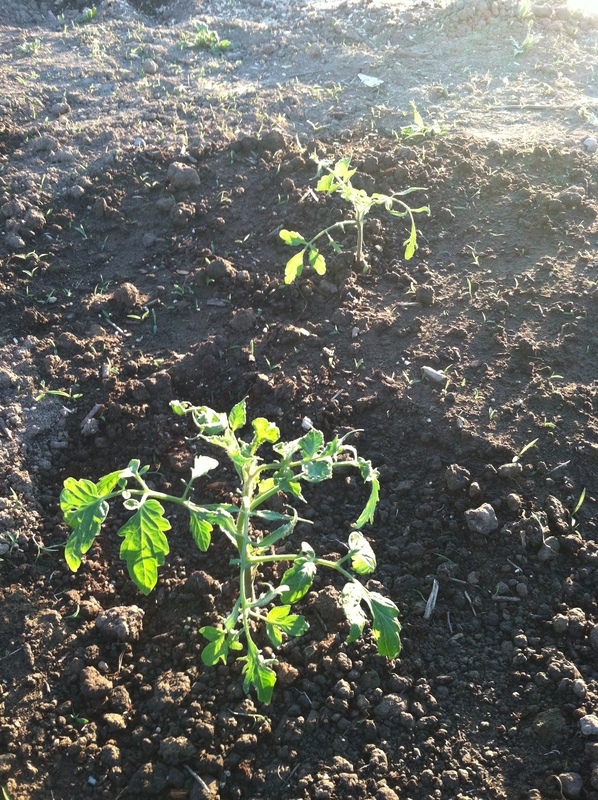 They were one of the first plants we transplanted into the ground. 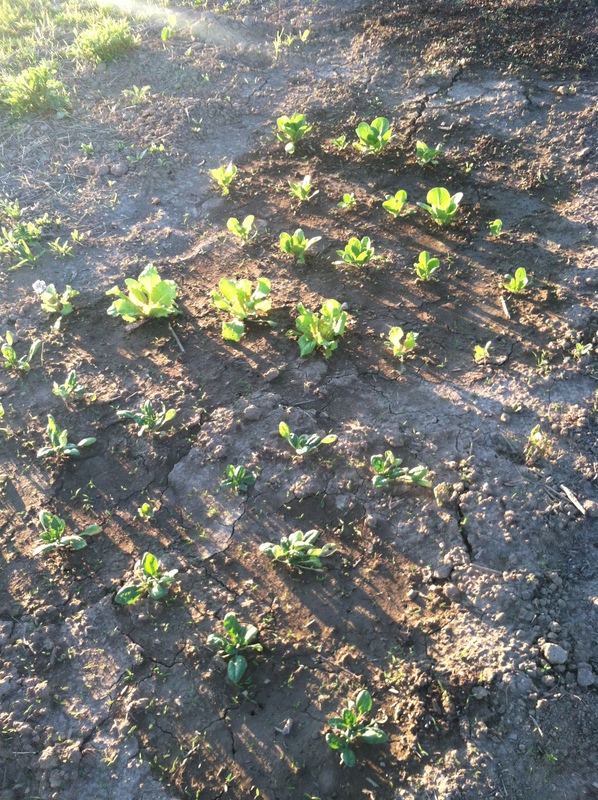 Broccoli– Another hardy plant that is thriving. 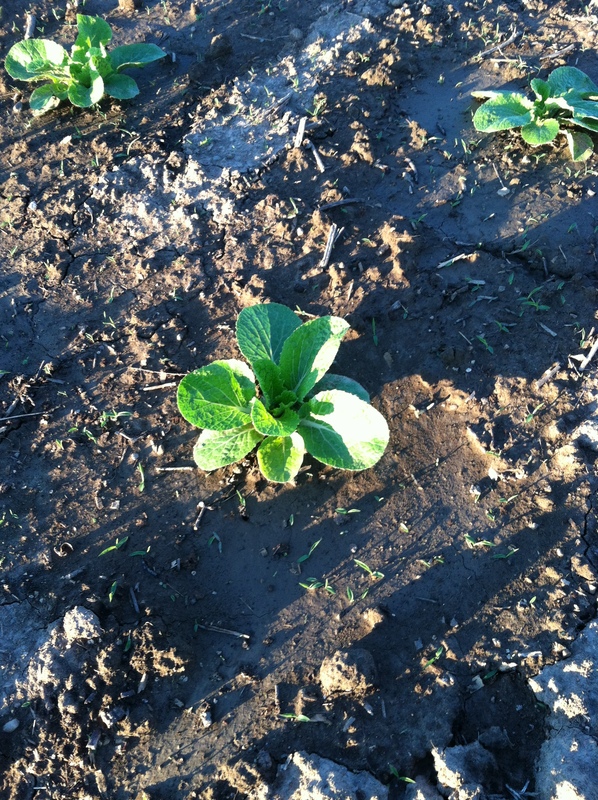 Zucchini and Squash– Since transplanting these plants have never looked 100%. Their leaves have gone from green to yellow and back to green again. I really hope these plants take off because I love zucchini and squash on the grill. Adam’s also a huge fan of chocolate zucchini cake. Yes, I am that sneaky wife who hides veggies in dessert. Just wait ‘til we have kids. Peas and green beans– We tried to grow green beans a couple years ago and maybe got one serving out of our plants because it was so dry. Hoping for some better luck- and weather- this year. Green onions– These were planted right into the ground and look great. I am so happy because this is the best addition to any stir-fry or Mexican dish. Cucumbers and pickle cucumbers– This is my favorite vegetable. I cannot wait to see how they do. So far, it’s not bad, but that deer has made some close calls with his feet. Peppers– Currently, we only have sweet and poblanos. Great, yes. But, I need jalapenos. For salsa, chili, appetizers, etc. etc! When I purchased the large amount of seeds at the home and garden store back in early April on packet was sucked under the conveyer belt. At that point, I probably had fifty seed packets so I wasn’t even going to try to begin to figure out which one was missing. But, it was my beloved jalapenos. All the herbs are in their own planters as herbs have a way of taking over if they are not contained. We have basil, oregano, thyme, parsley, cilantro, and rosemary. 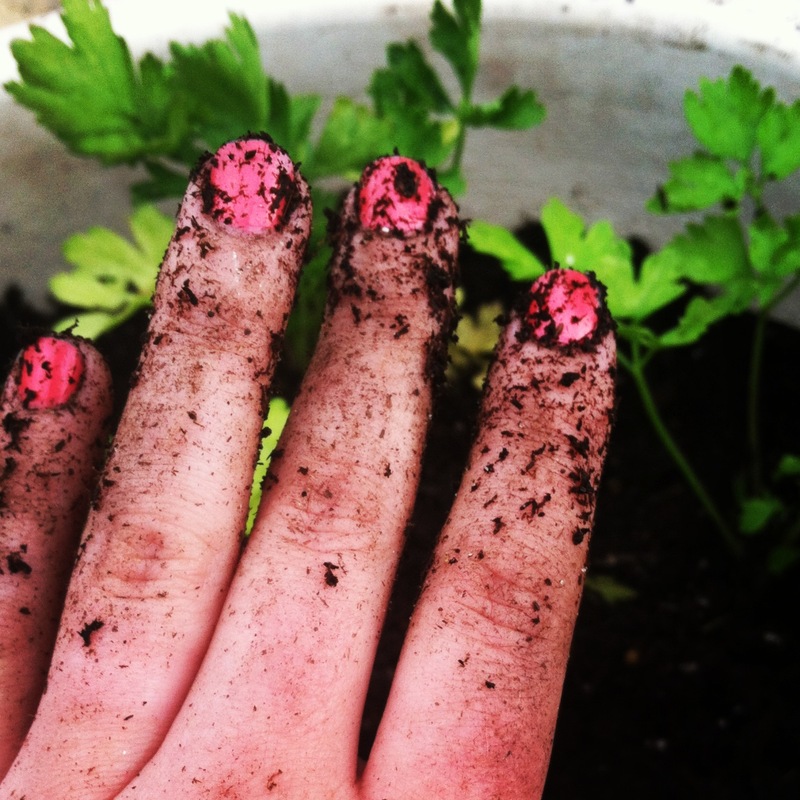 Potting soil really brings out the color in my mani. I am sad because the rosemary is not growing like I wish I would. Rosemary is one of my favorite herbs. It is great for chicken, vegetables like carrots or asparagus, and even makes good kabob skewers for some extra favor. I planted a tomato plant with the basil because I read that, if planted together, they help fight off bugs. So, it’s an experiment. The parsley and cilantro did great in the starter kits, but I must have sent them into a little shock when they were transplanted into larger planters. 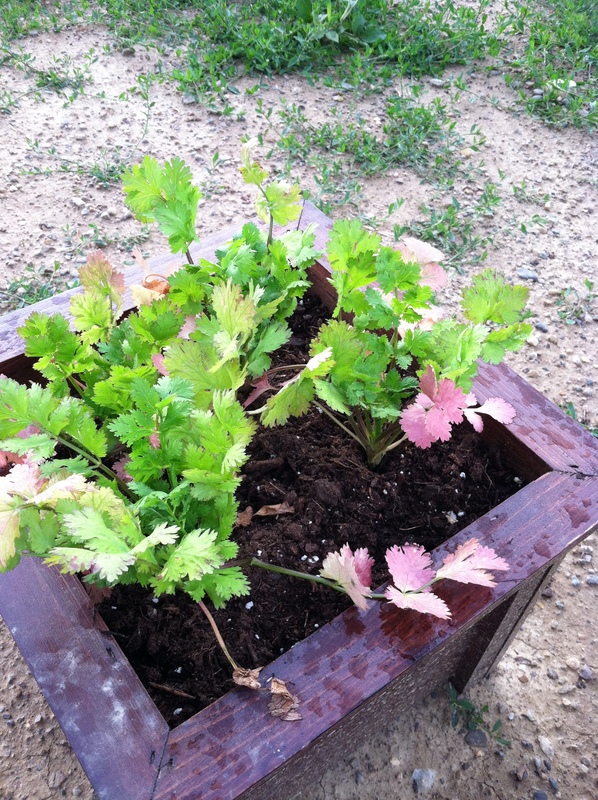 The cilantro started to turn a little pinkish purple, which I read was a sign of stress. I am hoping they get used to their new homes. I would think they would have loved the extra root-room. But, as always, you learn something new every day. My stressed out cilantro. Any one else have ideas on why it’s turning red? Oh, and I can’t forget our chickens! 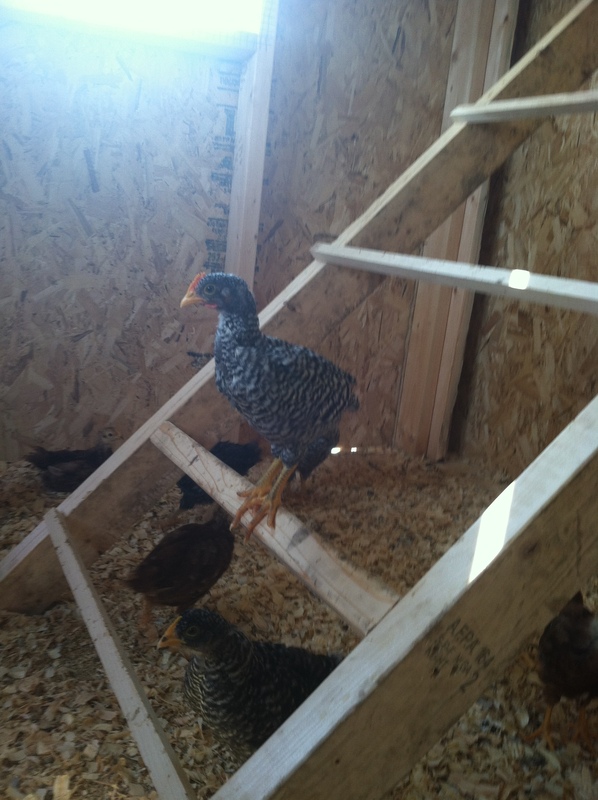 We have twelve birds that made the move to their beautiful coop that Adam built in late May. The coop is about eight feet by eight feet with a little door so the chickens can roam in about a thirty foot long fenced in area. We still are not 100% sure how many egg layers we will have as they won’t lay eggs until October or November. At this point we are pretty sure we have about four boys. They are getting little crown combs on the top of their heads. And definitely have a stronger, more seeming to be testosterone fueled demeanor. I never thought I would say this, but we LOVE the chickens. They are a lot of fun to watch and have been pretty simple to take care of. Adam could watch the birds for hours. In fact, we love everything about this garden. We were afraid when planning it that we might be getting in over our heads. But, so far (knock on wood), it’s been enjoyable work and it’s really neat to see things change every day. 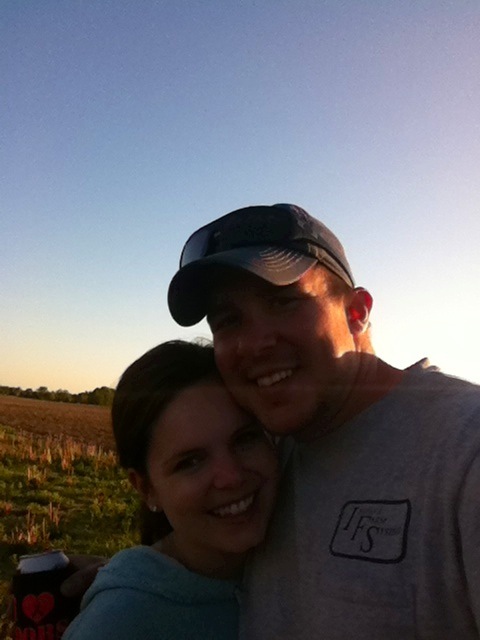 Most nights, Adam and I catch up over a beer or a glass of wine as we walk through the garden. Sure beats sitting in front of the TV!